- Push Button on/off Activation! Constant On - no timer! - Official Size & Weight No. 5 Soccer Ball! 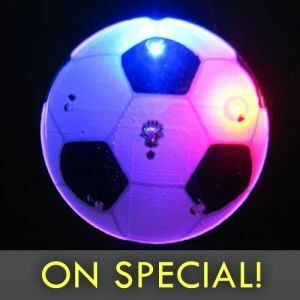 - Play all Night Long with Glowing Soccer Balls! 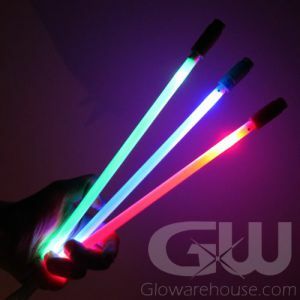 - Super Bright LED Lights! 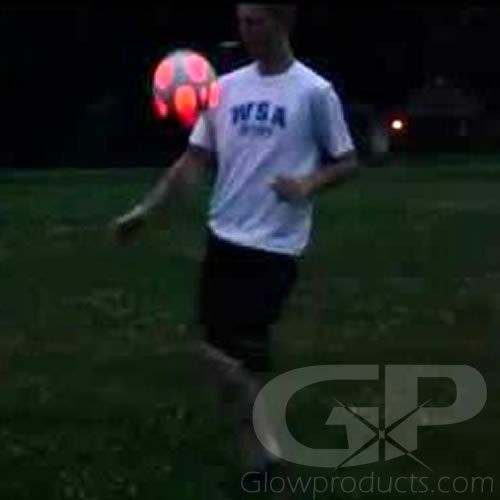 LED Glow in the Dark Soccer Balls from Glowarehouse.com - it's time to play with the best! And now with our official size and weight Light Up Soccer Balls you can play at any time too! Either out on the pitch or just kicking around your backyard or on a field with friends. 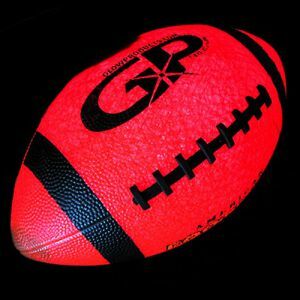 Our LED sport balls like this soccer ball use a durable sem-transparent rubber that allows the LED light to shine brightly through. 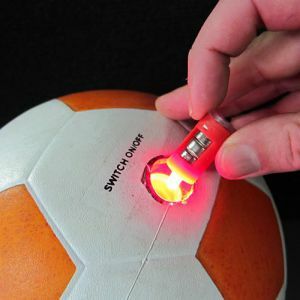 And the LED light is much brighter than the old style of glow in the dark soccer balls that you had to charge with light before playing - just turn it on and head outside! Plus these light up soccer balls have long lasting replaceable batteries so you don't have to worry about your night sport ball ever going dark, just pop some new batteries in and keep on playing. 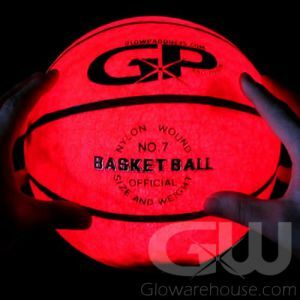 Glowarehouse.com's Light Up Soccerballs are Push Button Activated - not kick to activate, so there is no timer to worry about turning your ball off on you! Just turn the ball on and it stays on and then turn it off when you have finished playing – what a concept! Use our lighted soccer balls at your next soccer match and check out how much fun playing at night can be! To operate, push the power button and watch your sport ball illuminate and then when you're ready to stop playing, push the button again to turn it off! 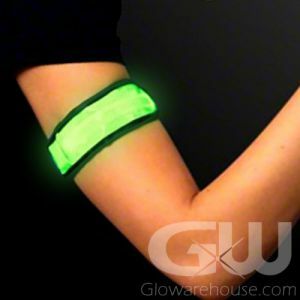 Included with each Light Up Soccer ball is an additional LED light and battery unit. To replace the unit, use a flat blade screwdriver to unscrew the button of the LED ball, pop it out and replace the existing insert with the new one. Our Glow in the Dark Soccer balls are No. 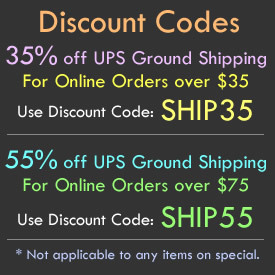 5 Official Size and Weight soccer balls.